Guess the joke is on me, right? The colorist is working day and night, he currently is doing 3 jobs simultaneously, being Heavy Metal (as seen on Bleeding Cool), an Aliens Upperdeck Booster Pack and … Sisterhood. The man has slept only one night in the last 8 days, has 19 Alien-pieces to be colored before tomorrow and then, 5 pages for Heavy Metal, due before Friday afternoon. YES I did have this idea to have the book in your hands already, since I thought “only the coloring is left” and that joke indeed is on me. For my next project I will know better, that is for sure. Setting a deadline too tight is not something I want to repeat! Does this mean there is nothing to show yet? But of course! Almost all pages will be flatted by the weekend so – once Kevin Enhart grabs some ZZZZzzzZZZ – he can get back on track on Monday! 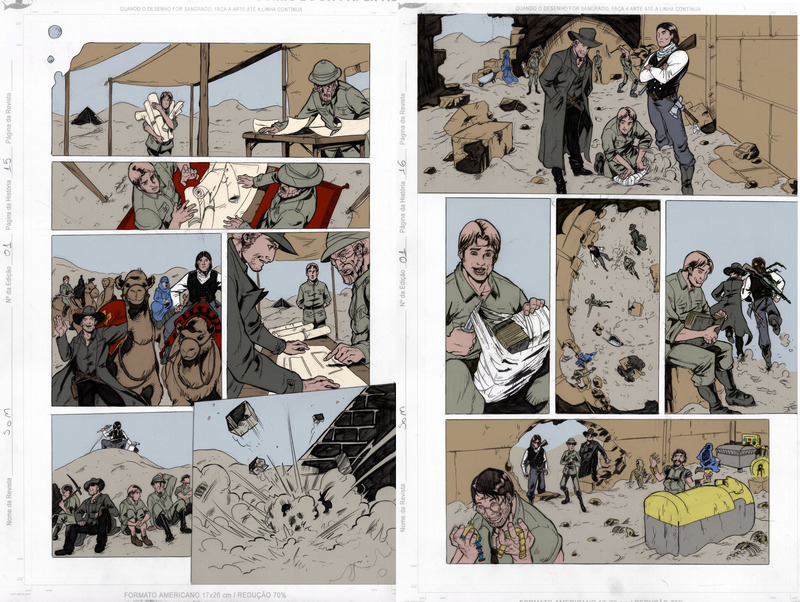 A few pages in FLAT stages, so Kevin Enhart can pick it up with a faster pace! And while Delfine Siobhán Kanashii is working on the flats, I am still working on a deal with a fullfilment partner, in the hopes that it will be a solution to USA-international-Shipping-Costs. And then there is this artist-friend who I want to help get his creator-owned projects out in the world… so a little teaser might be in order! In closing, again SORRY FOR THE DELAY, but it will be worth the while!